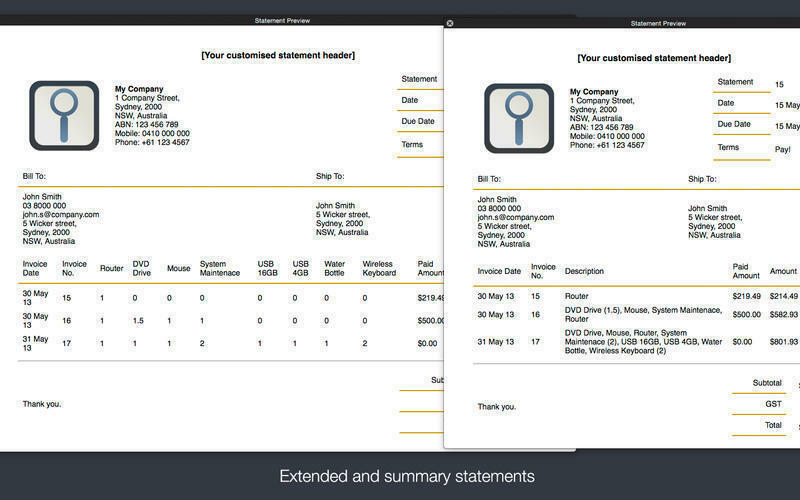 Quickly create tax invoices, quotes and statements on the go. Is there a better alternative to Invoice Professional? 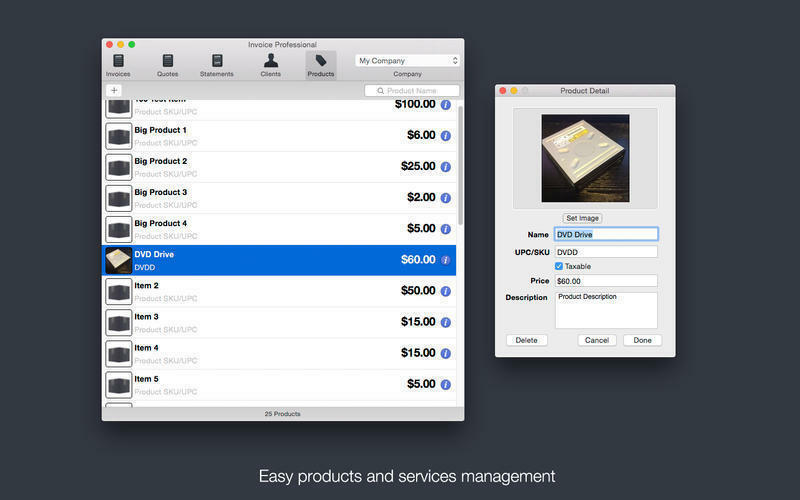 Is Invoice Professional really the best app in Inventory category? 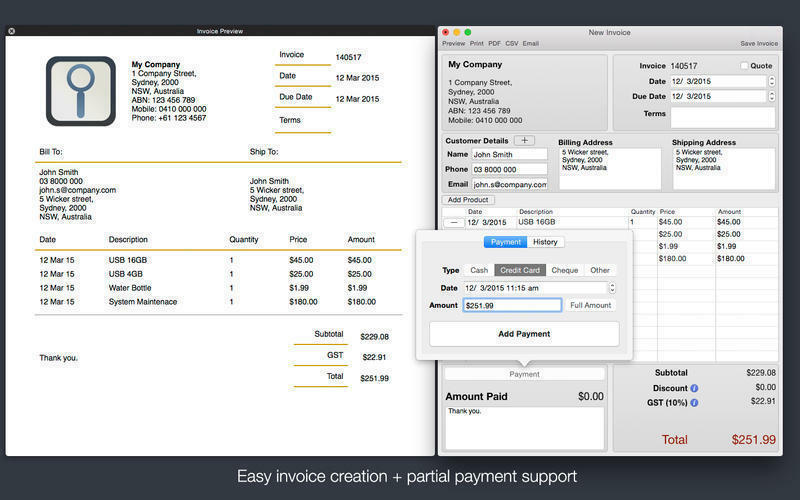 Will Invoice Professional work good on macOS 10.13.4? Invoice Professional enables small businesses to quickly create tax invoices, quotes and statements on the go. 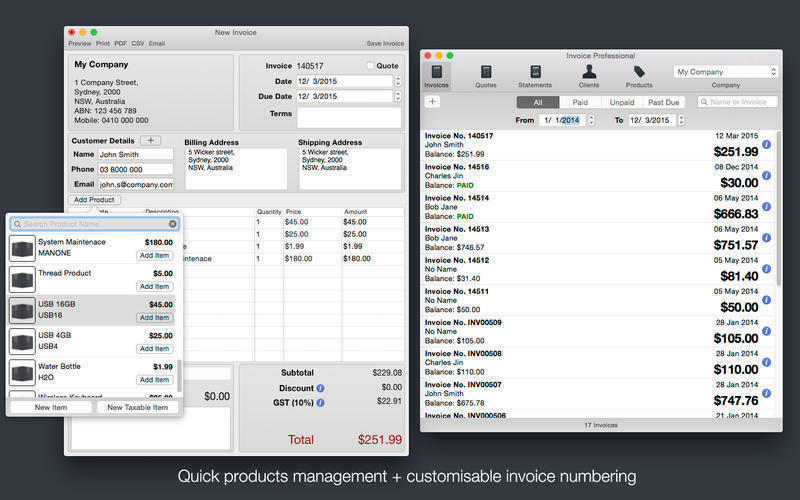 Invoice Professional allows you to manage and create a list of client/customers and products. With clients/customer management in Invoice Professional, you have the the ability to store their contact details, billing and shipping addresses and a photo. Products can be stored and managed easily with SKU/UPC, descriptions, photo and price. Invoice Professional needs a rating. Be the first to rate this app and get the discussion started!